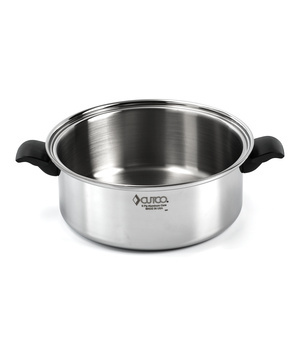 The only cookware backed by The Forever Guarantee. Requires less fats and oils when cooking. 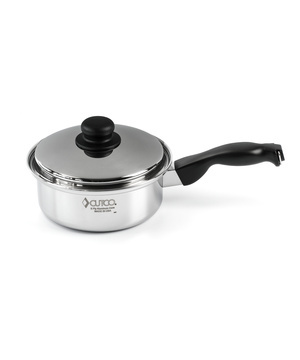 Cutco Cookware enhances the natural flavors of foods. Food cooks evenly at a lower temperature and in less time. Set Savings of $307 $1,871 $2,178 if items purchased separately This 12-Pc. 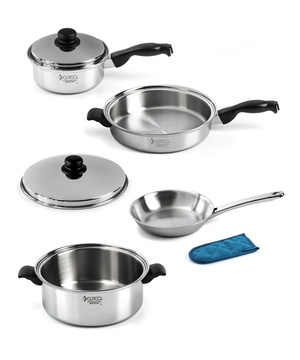 professional quality cookware set has great versatility and gives any home cook a fabulous cooking start. Prepare your favorite recipes with only a minimal amount of water or oil. 5-ply construction evenly distributes heat. Cookware is induction capable. Cleans easily and is dishwasher safe. 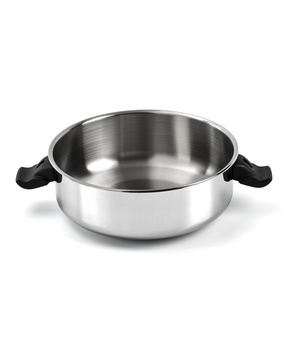 $255 Designed with gently sloped sides for even cooking. 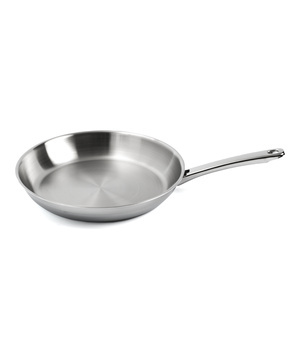 Use this pan to cook eggs and crepes, and saute vegetables. 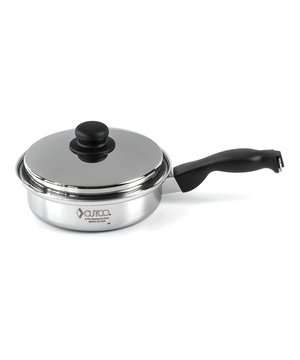 The professional-style stainless steel handles stay-cool. Can be put into the oven to keep food warm. Induction capable. 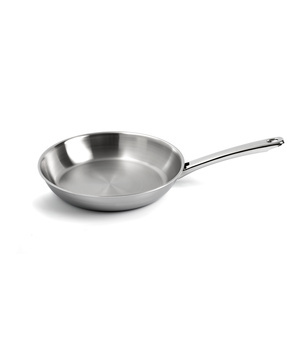 $197 Designed with gently sloped sides for even cooking. 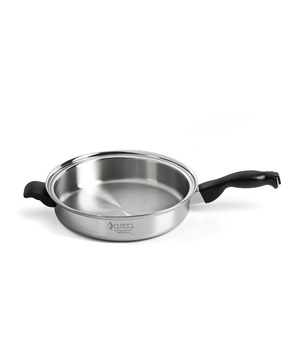 Use this pan to cook eggs and crepes, and saute vegetables. 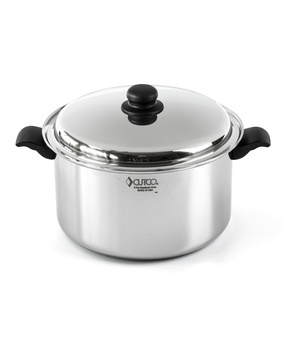 The professional-style stainless steel handles stay-cool. Can be put into the oven to keep food warm. Induction capable. $68 A canning companion, pair this with the Food Press/Steamer Unit and make purees, fresh applesauce and tomato sauce. $321 A kitchen basic for every home cook. Prepare soups, stews and sauces to perfection. Cook vegetables, rice, pasta and more. Special flameguard keeps handle cool. Induction capable. 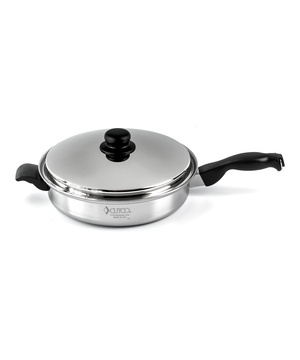 $226 Designed with gently sloped sides for even cooking. 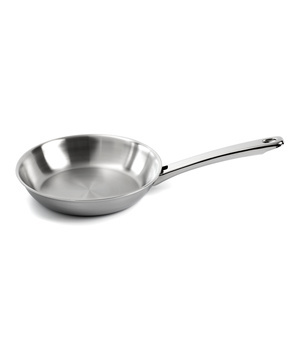 Use this pan to cook eggs and crepes, and saute vegetables. 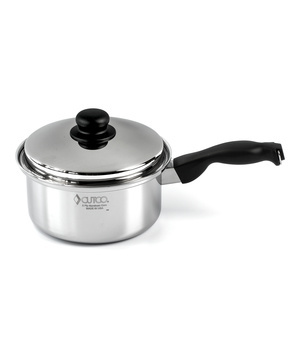 The professional-style stainless steel handles stay-cool. Can be put into the oven to keep food warm. Induction capable. $82 Use over 3 Qt. 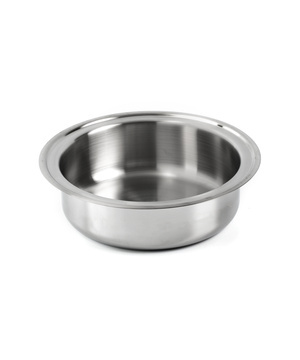 Sauce Pan of boiling water for melting foods such as chocolate, heating milk without scorching, and for recipes where controlled heat is crucial. $294 A kitchen basic for every home cook. Prepare soups, stews and sauces to perfection. Cook vegetables, rice, pasta and more. Special flameguard keeps handle cool. Induction capable. $265 A kitchen basic for every home cook. Prepare soups, stews and sauces to perfection. Cook vegetables, rice, pasta and more. Special flameguard keeps handle cool. Induction capable. $443 Sized to handle a wide array of foods and preparation techniques, including braising, pan frying, browning and more. Designed to distribute heat evenly to prevent food from sticking and burning. Induction capable. $309 Deep design makes it perfect for slow cooking meats, stews, stocks and vegetables. 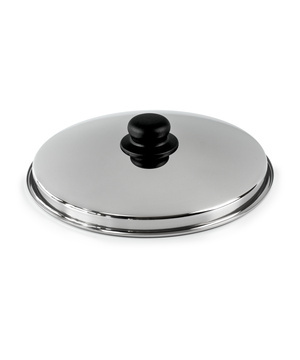 Use with the High Dome Dutch Oven Cover to create an oven for your stove top. Induction capable. 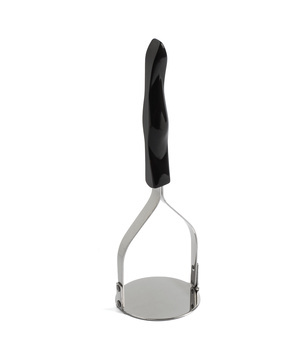 $137 A handy utensil, when used with the 3 Qt. 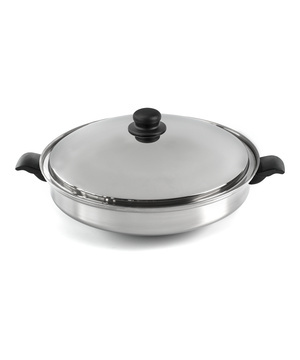 Sauce Pan, for steaming fruits and vegetables. Press cooked food through the insert for applesauce, tomato sauce, purees and similar items. 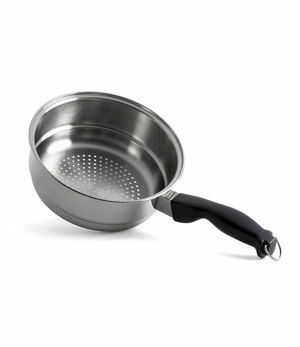 $201 Use it with 11-1/2 Skillet or Dutch Oven Bottom when a flat cover is needed for stacked/combination cooking. Also allows you to steam larger quantities of corn on the cob by standing cobs upright. 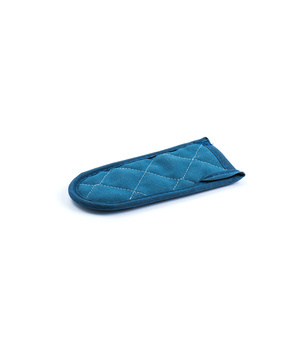 $142 Stay-cool knob makes it easy to grasp, with special non-slip texture. Use with 11-1/2” Skillet or 6.3 Qt. Dutch Oven Bottom. 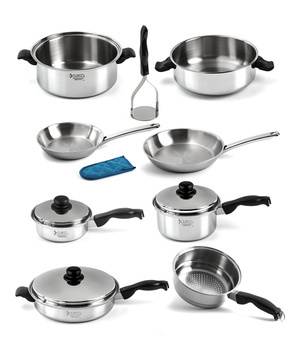 Set Savings of $47 $1,207 $1,254 if items purchased separately Start your Cutco cookware collection with this 6-Pc. set of the most popular and useful pieces. 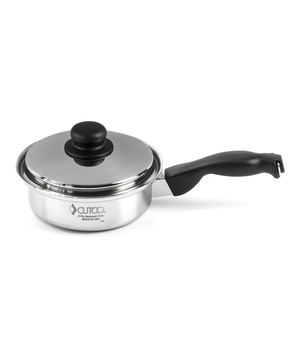 Cutcos professional quality cookware is designed to let you prepare your favorite recipes with a minimal amount of water or oil. 5-ply construction evenly distributes heat. Cookware is induction capable. Cleans easily and is dishwasher safe. 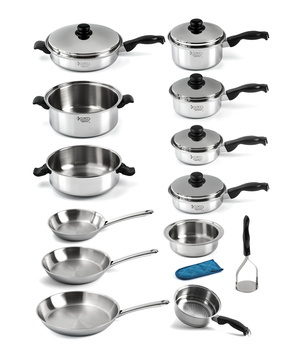 $300 A handy size for quick jobs like cooking eggs, sauteing and heating sauces and gravies. Induction capable. $315 Sized to handle a wide array of foods and preparation techniques, including braising, pan frying, browning and more. Designed to distribute heat evenly to prevent food from sticking and burning. Induction capable. $7 Provides added protection when using Cutco fry pans.